Slightly Mad Studio describes Project CARS on its YouTube page as “the most authentic, beautiful, intense, and technically advanced racing game on the planet.” Well. They'll feel rather silly when that Martian-developed racing game launches and absolutely crushes them, but until then, the latest trailer for the game looks like a strong claim to the title. Direct your eyeballs at the trailer above, let them feast on the digital automobiles, and tell me where you've seen a more realistic car with the exception of the real world. 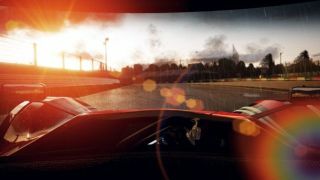 As to whether Project CARS will look that good when it's finally release, we'll find out in November 2014, when it starts rolling out. Besides its beauty, Project CARS will allow you to create a driver, race in a variety of motorsports, and challenge other players online in special community events and leaderboards. Slightly Mad Studio, which previously worked on the Need for Speed Shift games, is also currently developing free-to-play racing MMO World of Speed , which will offer a more arcade-style experience, but is also quite pretty.